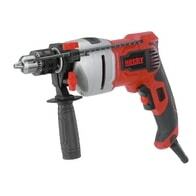 Electric powered impact drill. 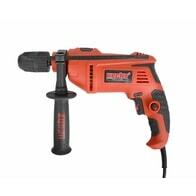 Variable speed, with keyless chuck, auxiliary handle, depth gauge. 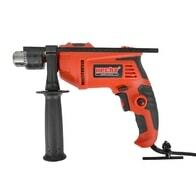 Hammer Drill - 800W. SDS Plus drive, auxiliary handle, depth gauge. 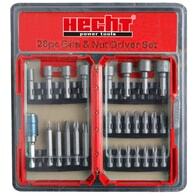 Plastic carrying bag, 2 pieces of Chisel and 3 pieces of drill bits (12 x 150/14 x 160/16 x 250 mm) included. 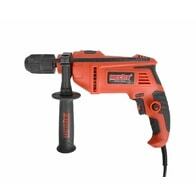 Impact drill with 2 step speed, auxiliary handle and depth gauge - 1200 W.